Pop the pinenuts into a small non-stick frypan and dry toast them until they are a light golden colour. 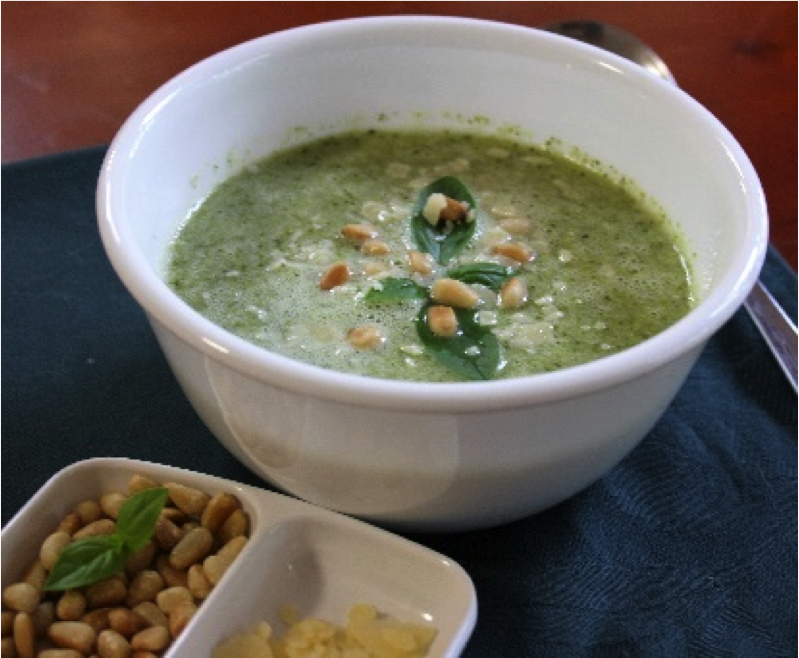 Serve up the soup into individual bowls and top each bowl with a few torn leaves of basil, a couple of pinenuts, and a little shaved parmesan. * I used macadamia oil in mine because I love the flavour. You could use olive oil another for cooking here.